On this date 100 years ago: Elmira’s Crystal Eastman lobbies for Women’s Suffrage in Washington D.C. I was glad to see good news on the front of the Star Gazette today: thousands of people showing up in downtown Elmira to support cancer survivors and the Komen Foundation, and the news that the Elmira YWCA received $19,000 in donations to help them after they unexpectedly had to close this winter. I wonder if 100 years ago today, Mrs. Crystal Eastman Benedict, from Elmira NY, knew that she was to be a part of an ultimately successful campaign to secure voting rights for women. Crystal Eastman was the daughter of Samuel Elijah Eastman and Annis Bertha Ford. Annis was one of the first female Protestant ministers in the US. Samuel and Annis worked as pastors at the Independent Congregational Church (now known as Park Church) under Thomas K. Beecher. The Valparisio University Law Review writes of Crystal’s early years in Elmira: she was “raised in the feminist, humanistic, intellectual, fun-loving and progressive environment of the Park Church in Elmira, NY.” (Valparaiso University Law Review, Vol. 28, No. 4 , Art. 6, p. 1306). 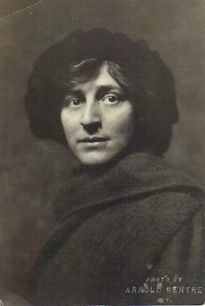 Crystal Eastman was a 1903 graduate of Vassar College and earned an M.A. in sociology from Columbia University in 1904. She received her law degree from New York University Law School in 1907, graduating second in her class. In 1909, she was appointed by the governor of New York State to be the first woman on the Employer’s Liability Commission and drafted New York State’s first Worker’s Compensation Law. In 1920, she was a founding member of the American Civil Liberties Union (ACLU). In 2000 Eastman was inducted in the (American) National Women’s Hall of Fame in Seneca Falls, New York. Thank you, Crystal Eastman, for all the work you did from which we still benefit. What work could we do today that would benefit people alive on May 18, 2115? Valparaiso University Law Review, Vol. 28, No. 4 , Art. 6, p. 1306. http://scholar.valpo.edu/cgi/viewcontent.cgi?article=1919&context=vulr (Retrieved 18 May 2015). Vassar encyclopedia: Distinguished Alumnae. https://vcencyclopedia.vassar.edu/alumni/crystal-eastman.html (Retrieved 18 May 2015). Crystal Eastman, National Women’s History Museum. http://www.nwhm.org/education-resources/biography/biographies/crystal-eastman/ (Retrieved 18 May 2015). This entry was posted in Genealogy / Local History, Uncategorized by ccld. Bookmark the permalink.